WOW! We are finally catching breath after a stunningly successful weekend at the European Barbershop Convention in Bournemouth. 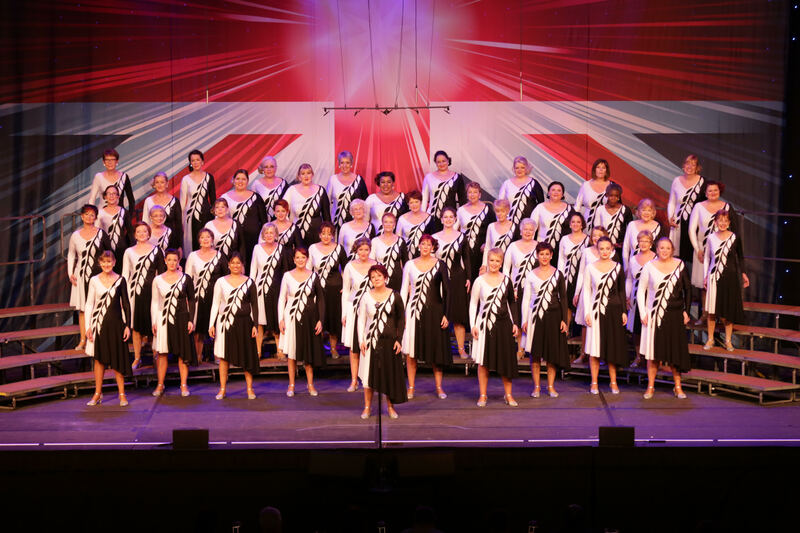 Crystal Chords retained our Bronze medal in the National competition, fending off 25 other choruses that are snapping at our heels. Plus, we actually closed the gap on second place. It was in touching distance! So we are understandably incredibly excited by this and can’t wait for next year to come around already! Not only did the chorus do well, but our very own Barberlicious quartet, made up of four of our members, won the SILVER medal in the national quartet final! Anna, Anne-Marie, Bushra and Becs had come through prelims, the semi-final and then the finals with some stunning performances, which rightly crowned them as one of the nations best barbershop quartets. Then to top off the weekend, our other quartet Pzazz (gold medalists in 2015) entered the European quartet competition coming an ever so impressive 4th against the best of Europe. Talk about talent in one chorus!